Mahr’s. Hops. BossHoss. Select ingredients and Top Drinkability. 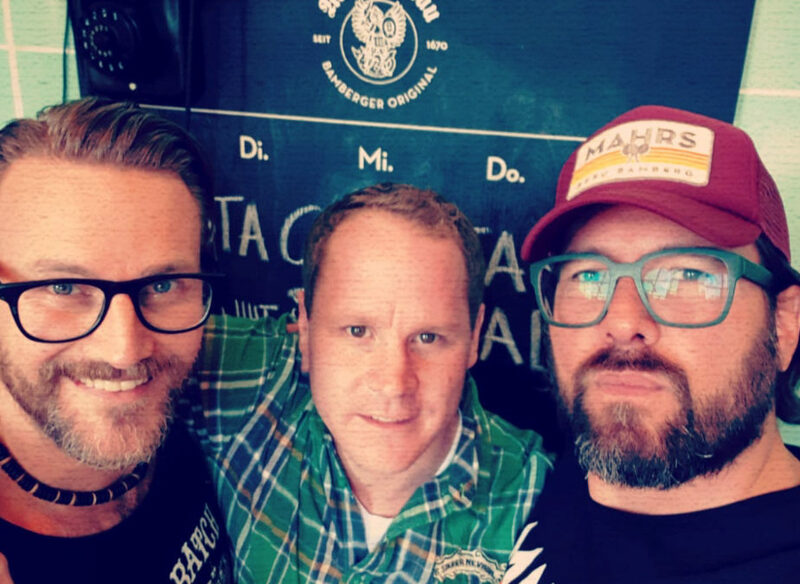 What happens when three beer freaks like “Brewmaster Rockstar” Stephan Michel, “Hops King” Mario Scholz (IGN Hopfen) and drummer Ansgar Freyberg a.k.a. 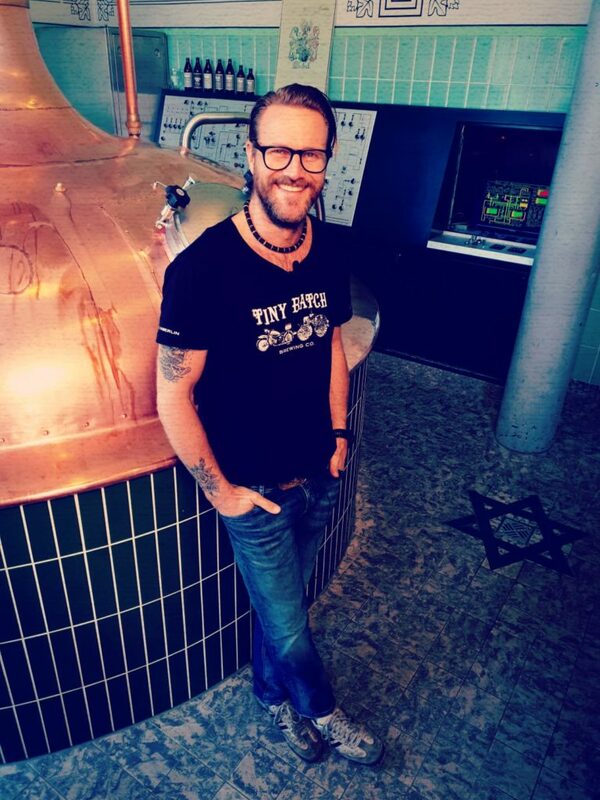 “Sir Frank Doe” (The BossHoss) come together in a Mahr’s Bräu brew-house? Answer: A fine “Stöffchen” (Franconian for “exceptionally good brew”). Her name: “Mista Callista Special”. She was the brainchild of Mario Scholz and Stephan Michel, instigated together with their good friend, musician and Gypsy Brewer, Ansgar Freyberg, the alias Sir Frank Doe, who now successfully brews and sells his own beer under the brand name, “Tiny Batch”. 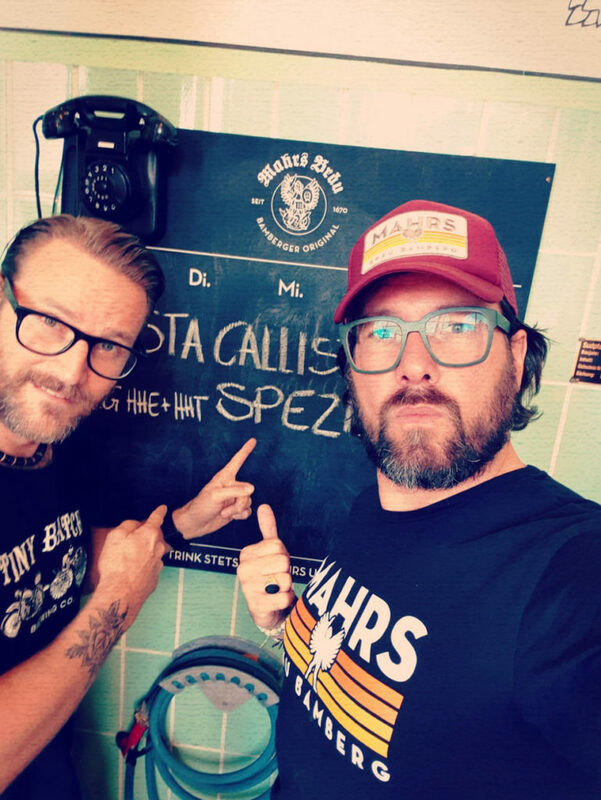 “Mista Callista Spezial” owes her name to the distinct variety of hops in this extraordinary brew: “Hallertau Callista” – introduced by hops distributor Scholz who hails from Hallertau – is a new and extremely fantastic hop variety which has only been available on the German market for the last three years. The aroma of sweet fruit and red berries induces a discrete sweetness, which make this highly fermented beer (approx. 5.5% ABV) go down extremely smooth. This beer offers an impressive selection of ingredients. Brewmaster, and “Pope of Yeast”, Frank Müller, from Brewery Riegele in Augsburg, personally provided another indispensable component: incredible yeast. “Mista Callista Special” is truly distinct. By combining the finest, high quality ingredients, which culminate in a diverse taste explosion, it creates a beer that goes down surprisingly smooth, compels maximum drinkability and easily encourages a second round. Well then, raise‘em up! PROST!